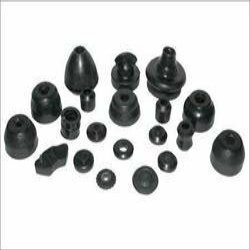 We are a unique name in the industry to provide our prestigious clients an exclusive range of Synthetic Rubber Part (Viton Rubber). Offered part is exclusively manufactured using optimum grade rubber material and modern technology in adherence to the set industry standards. Owing to its fine finish and easy installation features, this part is widely demanded among our clients. Furthermore, to ensure the best quality, the provided part is precisely tested by our skilled quality controllers.